You know I still owe the blog several a ton of reviews and posts? Ah, what is busy? I don’t think I am in a blogging slump, but I’ve been terribly busy with other real life stuff, and yes, sometimes I’m just too lazy to open my blog and write a review. For that, I apologize. On another note, July reading was actually quite good, even if I was still terribly slow. I don’t think I’ll ever get out of the 4-book backlog for my Goodreads challenge, but right now, I don’t really care. Perhaps later? But anyway, I managed to finish my July books with a few days to spare! Now we go to August! It feels kind of weird writing this post in English because of the theme I picked for the month. August is our country’s language month, orBuwan ng Wika, and this is normally the time in the year where we are encouraged to speak in Filipino to celebrate our language. Oh, I speak in Filipino when conversing with friends, but for other forms of communication, I always switch to English because of the nature of my work. So writing this post in English feels weird now because my theme for this month’s list are Filipino books. 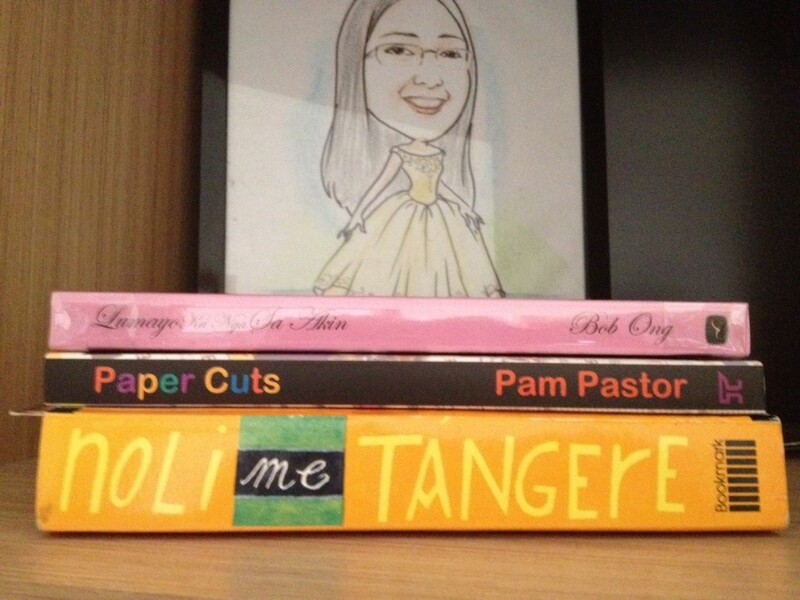 It’s not books written in Filipino (although there is one), but books written by Filipino authors. Love your own, right? Lumayo Ka Nga Sa Akin by Bob Ong. He’s one of the funny, local authors that has a huge following, and I have pretty much read almost everything he wrote. This is his latest, and I received this last Christmas and I am finally, finally going to read it. I figure it’s going to be light reading? Paper Cuts by Pam Pastor. I got this in 2011, and it’s a collection of articles written by the author. Should be another light read, and I chose this on purpose because of the last book on my list. Noli Me Tangere by Jose Rizal. I added this on my Required Reading post in June last year, and I abandoned it halfway because I found it too wordy. This was a required reading in high school, but since we only read the summarized version, I wanted to read the whole version. And then like I said, I stopped reading it last year. Now our book club has chosen this as book of the month and I have no choice but to finally read it. Challenge accepted. I’m not sure if I will read only Filipino books this month (that’s an interesting idea! ), but I will try. Again, love your own, right? It’s just timely because we’ll also be having the 2nd Filipino ReaderCon: United We Read on August 18, and it’s a celebration of/for Filipino readers, so maybe reading all things Filipino will make me feel more festive. 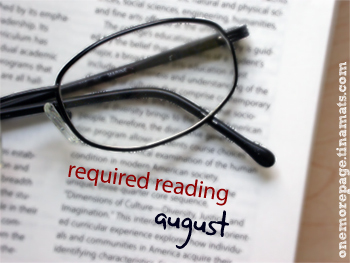 If you’re looking for a Filipino reading challenge for this month, you can also drop by Kikay Reader’s blog and join her challenge. Like what I told Angus, I’m not too keen on the Noli book because I feel like I’ve had enough of that in high school. :( And I read Mina’s and Tweet’s books last month, so there. Haha.